Those three words are how Opiuo, a New Zealand-born and Melbourne-based producer, chooses to introduce himself on his Soundcloud account. And the veracity of that statement becomes immediately clear after listening to his music. Anyone who becomes a DJ and producer has to “like beats” to some extent, but Opiuo truly embodies that positivity in his music, in his spirit, and in his life. Four Over Four spoke with Opiuo about his upcoming tour with the band and on spreading the much needed good vibes to the world. What are you most excited for on the upcoming tour with Haywyre? Getting out on the road and playing music every damn night whist meeting new and exciting people in crazy places and jamming with some of my best friends along the way. 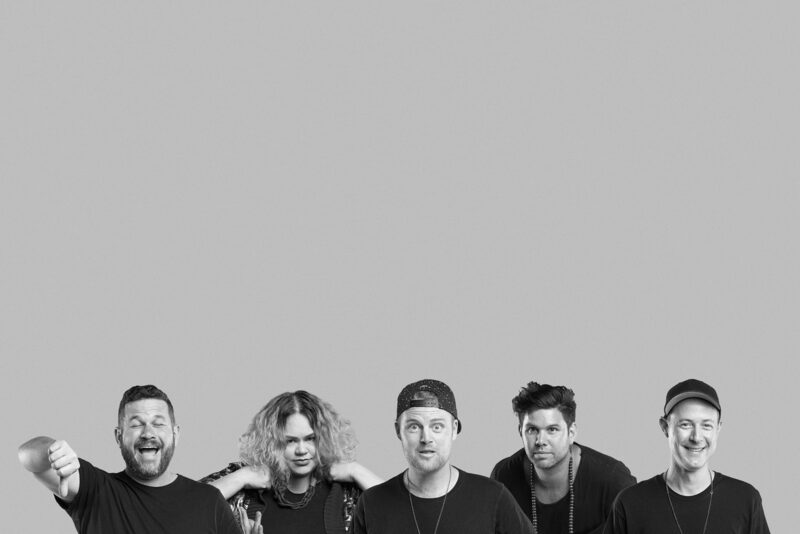 …and will you be premiering any new music? Yes! There is LOADS of new music in this show. I’ve been finishing up my next releases and we’ll be debuting a lot of that for the first time as a band during this tour. You were constantly on tour in 2016 (both solo and with the band), what were some of the best moments you had while on the road? Every year I’m blown away by how it just gets better and better. It’s a wild ride and I feel super lucky to be able to do this year round. Passionate and enthusiastic people everywhere. It’s inspiring. Some of the best moments last year were finishing and releasing a full length album, playing in Africa for the first time, and recording insanely amazing musicians in New Orleans, which was a childhood dream. How has touring with the band helped you grow as an artist and performer? It’s helps immensely in many mysterious ways. I think it gives new and different understandings of how to perform live and it expands minds into adopting new ways to write music. Structure is so important with the band, but I’m also being inspired to experiment a lot. We always like to ask artists about their hometown. Top 3 places in Melbourne that you would take a fan that is visiting Australia, and why? Ooh, hard question. Melbourne has seriously good coffee so we’d hit Plug Nickel on Peel St Collingwood to start off, get our bearings up the giant Eureka Tower, and finish it off watching the sunset while at a wild spontaneous raging beach party on the coast. Opiuo is best known for the glitchy and bassy yet soulful and euphoric sounds. What are some songs that you’re currently listening to? I travel a lot, as you know, so I’ve been mostly listening to journey-filled mighty musical meanderings lately. I have loads of stuff on rotation, but mostly I’ve had on the new Bonobo album, as well as A Tribe Called Quest‘s new album, some David August, a bunch of Moderat, and Anderson .Paak. What can we expect from you and the band in 2017 and what are you most excited for? I’m plan to drop as much of this new music as I can get done on a bunch of EPs. I’m hoping to release a live band recording from a series of shows from last year soon too. I wanna just release music and travel as much to all corners to make the world dance! We’re touring a lot as the band and we’re hoping to be able to announce shows soon in many of the places we haven’t been able to hit on this upcoming tour. I’ll also be flying about as my solo live show, dropping in to many of my favorite festivals along the way. Plus, trying to make the world a better place through being the best humans we possibly can. It’s most important, in this crazy complex environment we’re going through, to remain as positive and optimistic as possible. Create. Be yourself. Support your friends. Spread good vibes. You’re the only version of you that shall ever exist, so make the most of it! 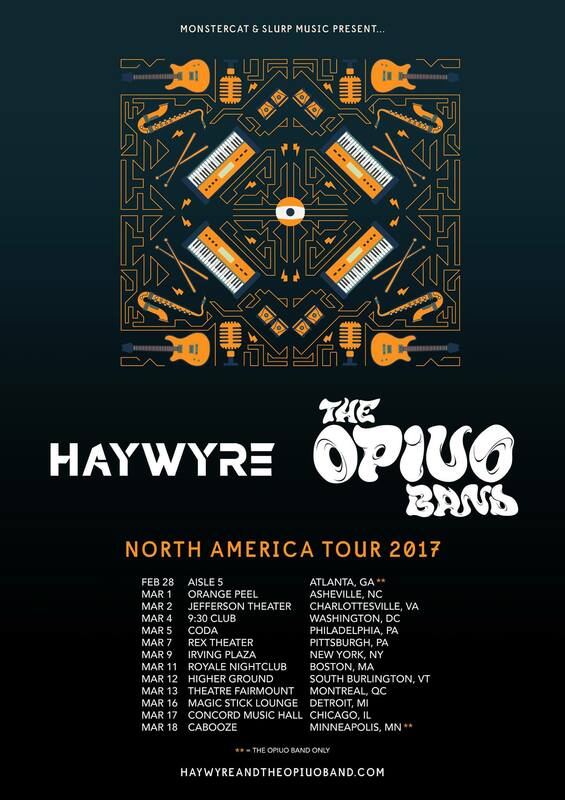 Check The Opiuo Band and Haywyre out on their upcoming North American tour!